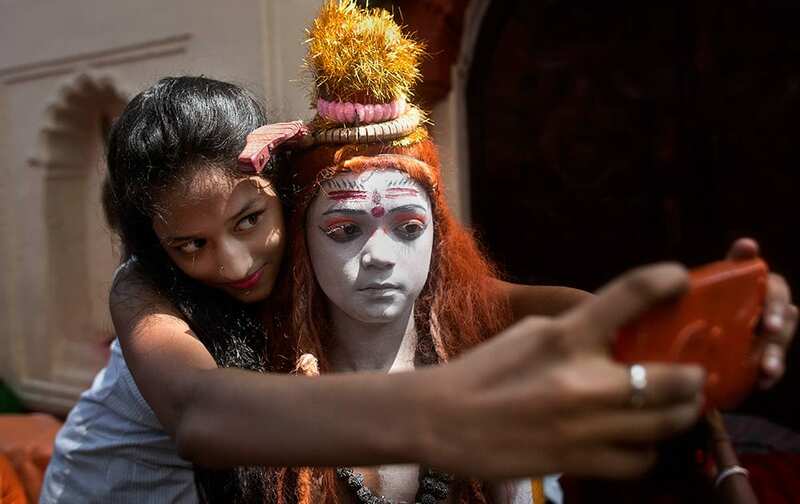 A girl takes a selfie with a boy dressed as Hindu god Shiva at the Kamakhya Hindu temple during the annual Ambubasi festival in Guwahati. 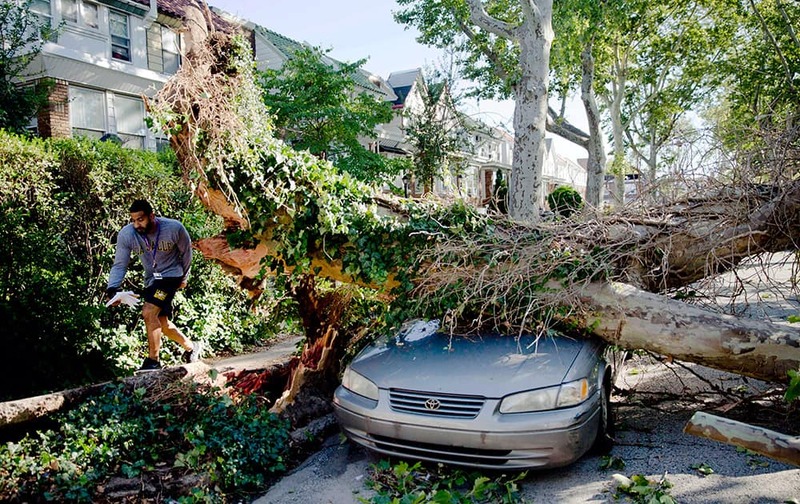 A man walks past damage on Sylvester Street in the aftermath of a storm in Philadelphia. 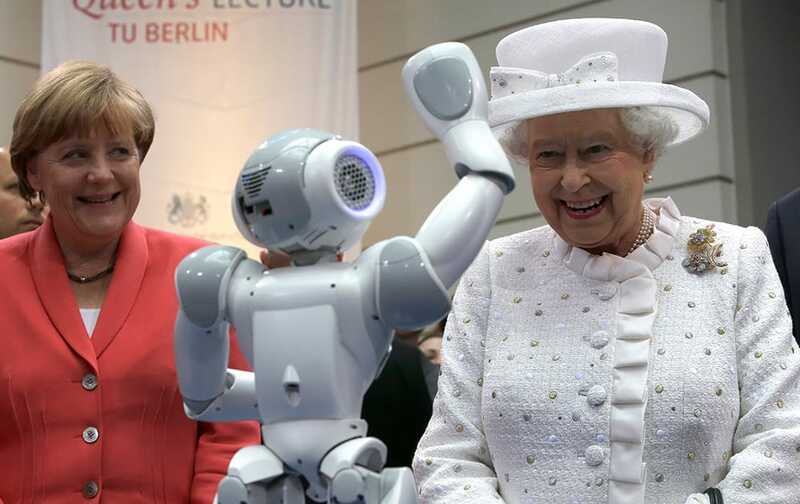 German Chancellor Angela Merkel and Britain's Queen Elizabeth II smile as a little robot waves to the Queen during a reception at the 'Technische Universitaet' (Technical University) in Berlin, Germany. 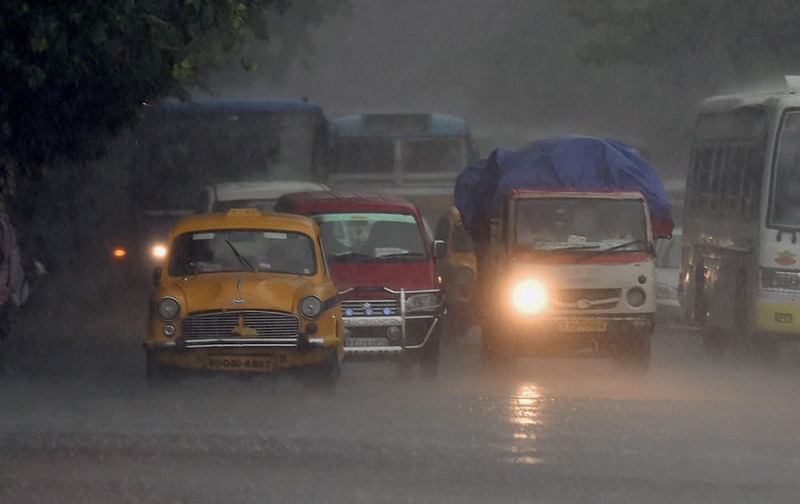 A slow moving traffic due to heavy rainfall in Kolkata. 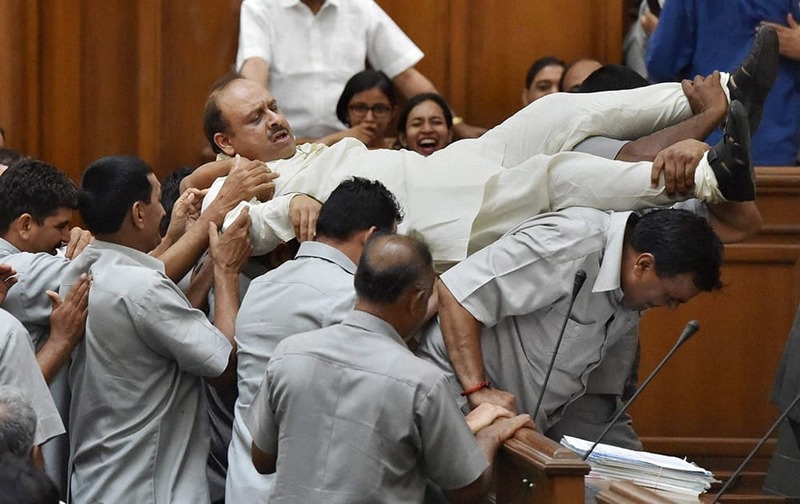 BJP leader in Delhi Assembly Vijender Gupta is taken out of the Assembly by marshals after a protest on the second day of the monsoon session in New Delhi. 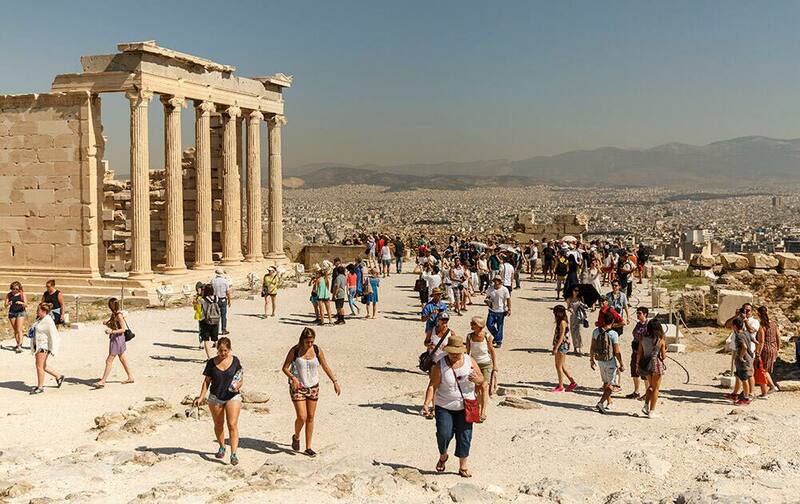 Tourists walk on Acropolis Hill, an ancient sanctuary of ancient Athens. 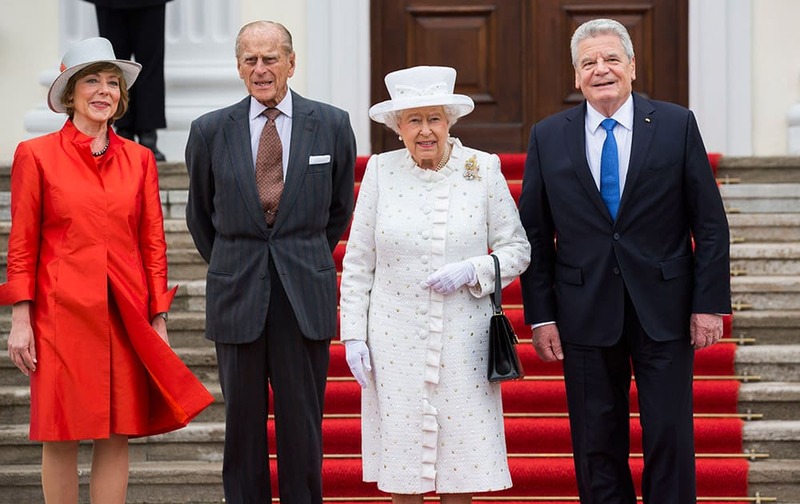 Britain's Queen Elizabeth II, second from right, and Prince Philip, the Duke of Edinburgh, second from left, are welcomed by German President Joachim Gauck, right, and his partner Daniela Schadt in front of Bellevue Palace in Germany's capital Berlin. 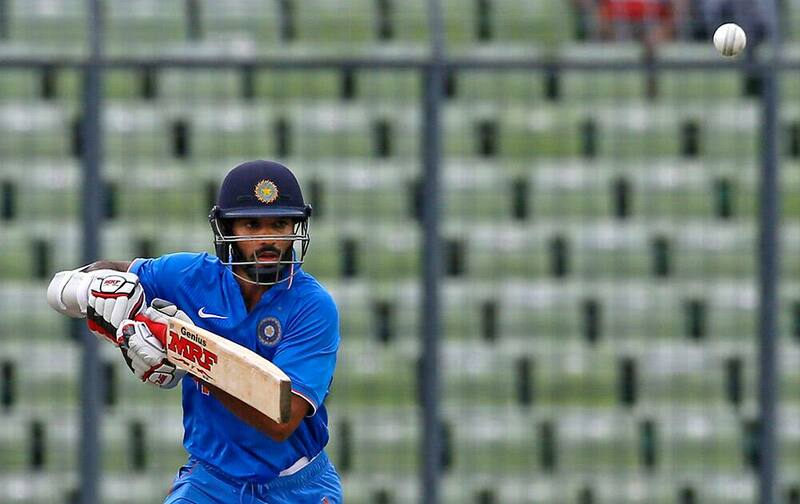 Shikhar Dhawan plays a shot during their third one-day international cricket match against Bangladesh in Dhaka, Bangladesh. 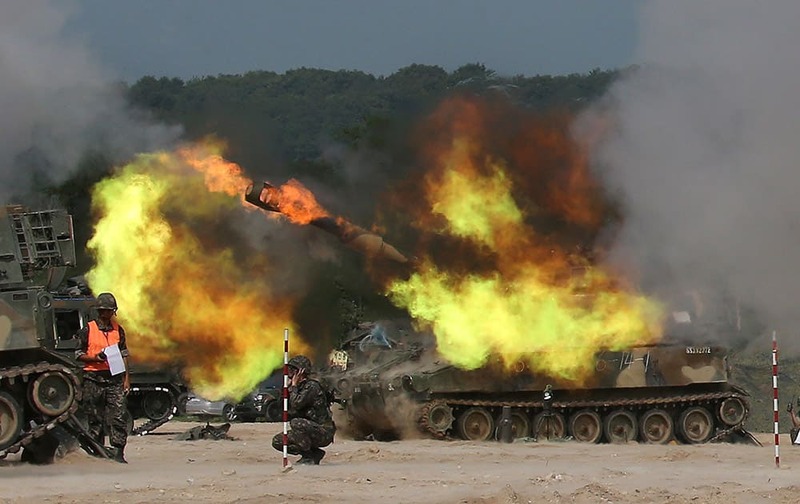 South Korean army's K-55 self-propelled howitzer fires during a military exercise to mark the 65th anniversary of the start of the 1950-1953 Korean War at a fire training field in Cheorwon, north of Seoul, South Korea. 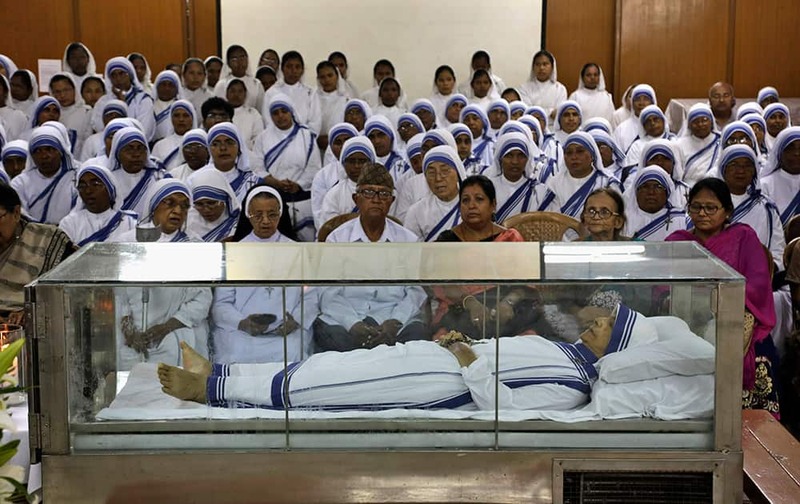 Nuns and other Christians gather for a mass prayer ceremony near the casket of Sister Nirmala Joshi at the Missionaries of Charity in Kolkata. 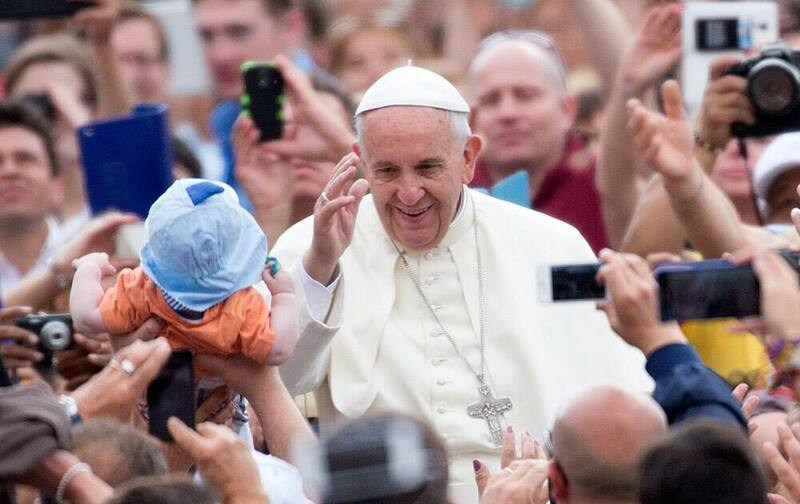 Pope Francis waves to the faithful as he arrives for his weekly general audience, in St. Peter's Square, at the Vatican. 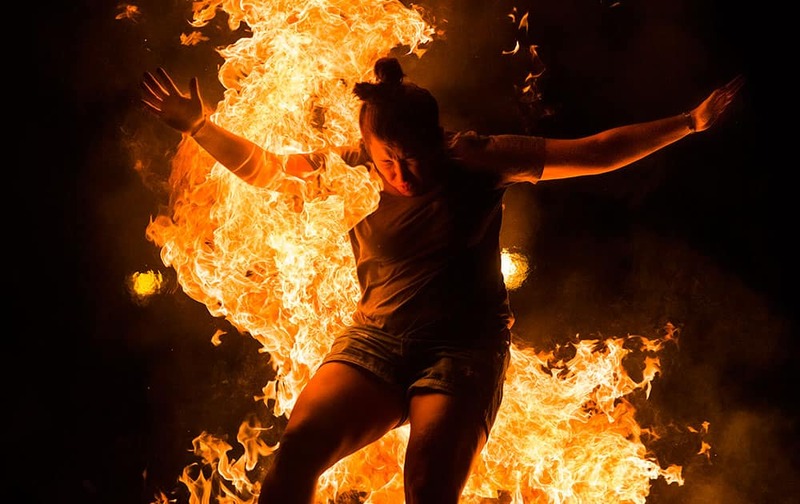 A reveler jumps over a bonfire during the night of San Juan in Alcobendas near Madrid, Spain. 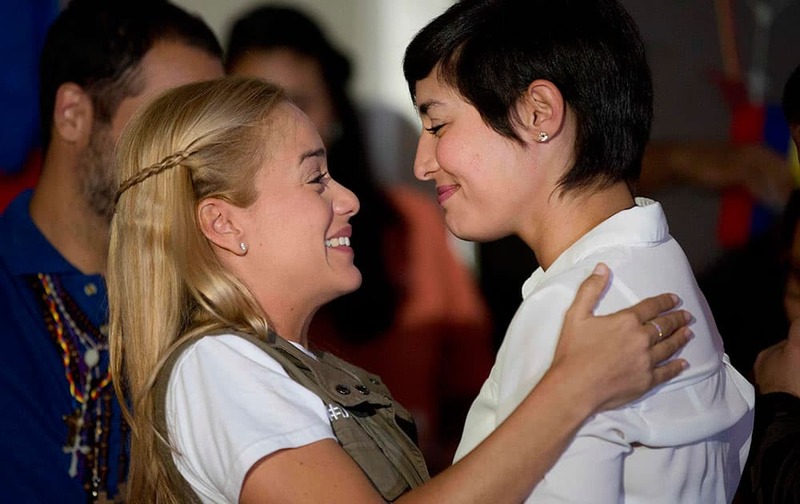 Lilian Tintori, wife of jailed opposition leader Leopoldo Lopez, left, embraces Patricia Ceballos, the wife of jailed opposition San Cristobal Mayor Manuel Ceballos, during a press conference in Caracas, Venezuela. 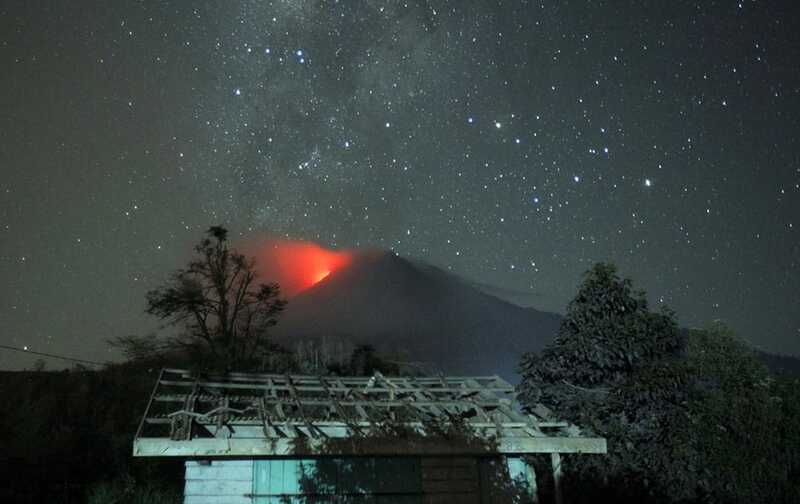 Hot lava flows from the crater of Mount Sinabung as seen from Sigarang Garang, North Sumatra, Indonesia. 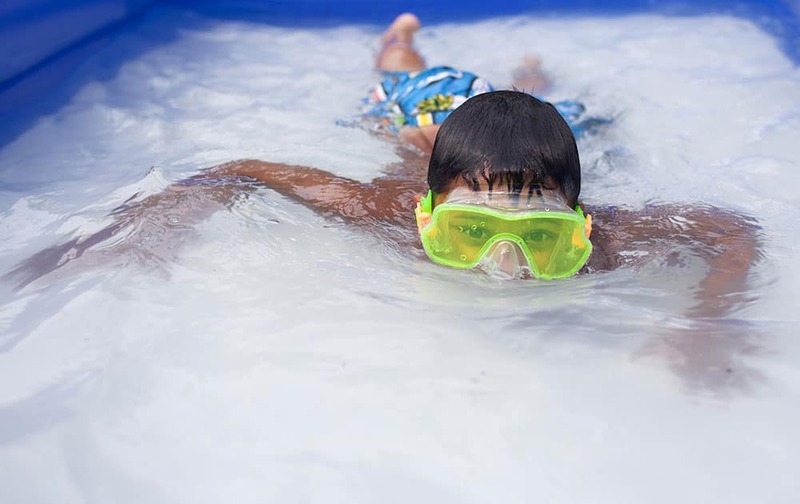 David Kitchens, 8, swims in an inflatable pool in the front yard of his house in Bowling Green, Ky.
Bangladesh’s captain Mashrafe Mortaza laughs during a practice session ahead of their third one-day international cricket match against India in Dhaka, Bangladesh. 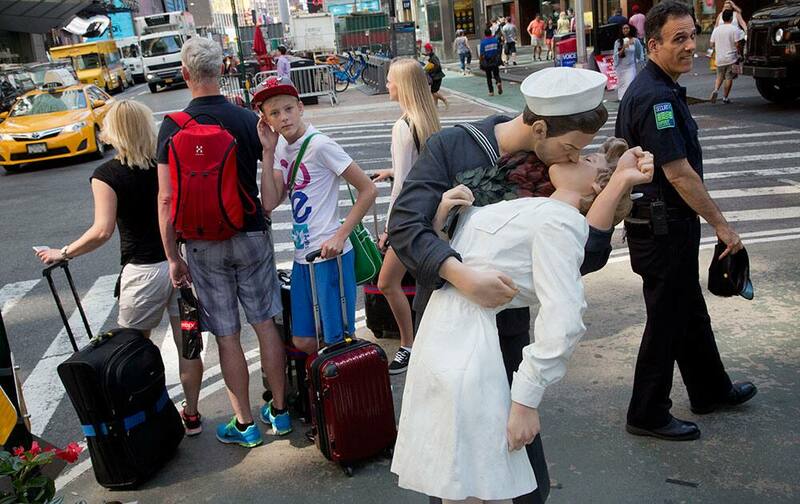 Pedestrians pass a sculpture of a sailor kissing a woman in New York. 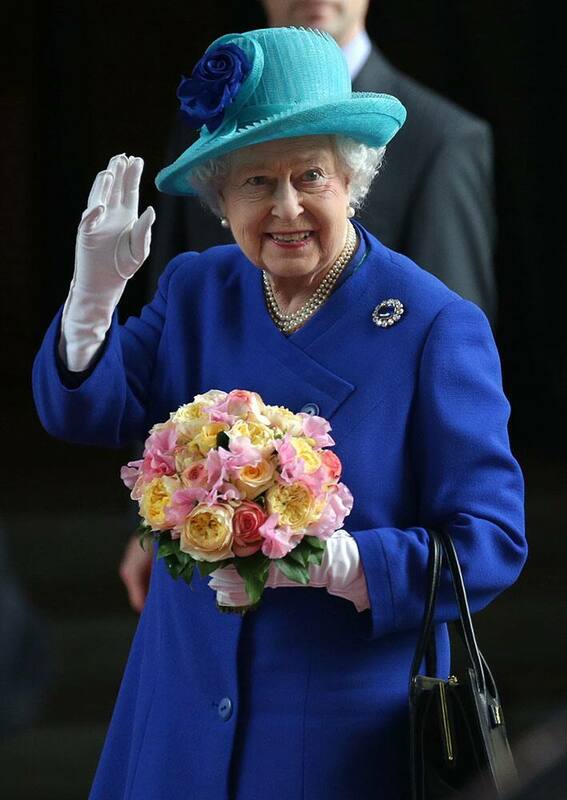 Britain's Queen Elizabeth II waves as she arrives at her hotel in Germany's capital Berlin. 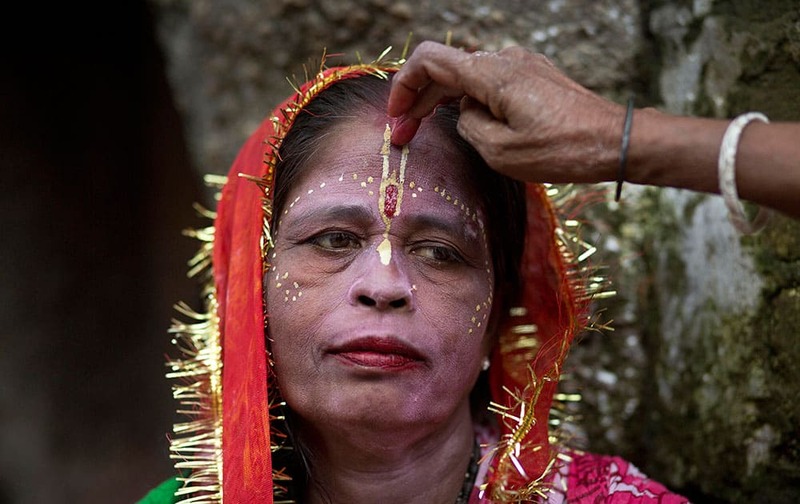 A woman devotee is helped get ready at the Kamakhya temple in Gauhati, India. Al-Jazeera journalist Ahmed Mansour, right, kisses his son Mohammed after his arrival at Hamad airport in Doha, Qatar. 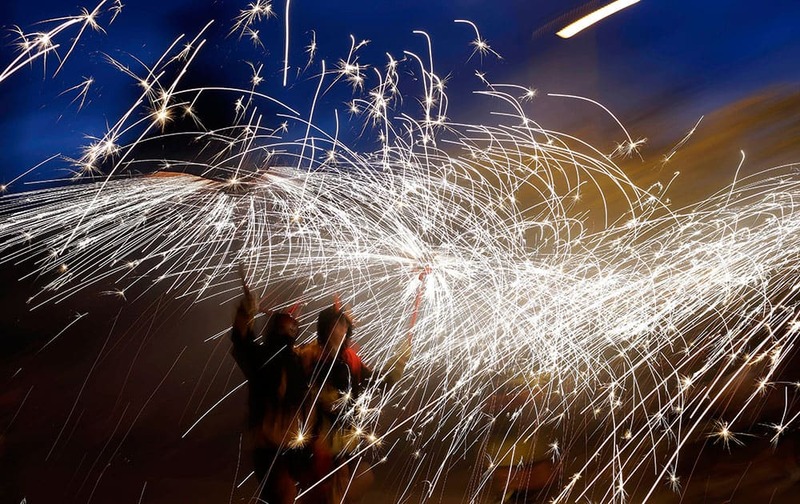 Revelers hold fireworks as they take part in 'Correfoc' (Run with fire) party during the night of San Juan in Barcelona, Spain.